Short haired, loud mouthed lesbian Mel Vaught; weight conscious, big chested, introverted Sharon Kisses. Tentative friends early on in college, fierce duo upon graduation and after. Teaming up as animators, they turn what they love to do into full-time work. As their first major endeavor, they make a full-length feature animated film about Mel’s life to much acclaim. That acclaim sets them off and running both professionally and in their personal lives, sometimes in parallel lines; sometimes in almost opposite directions. Major life events happen to these women in the pages of this story and, with each one, you think it’s the climax. It’s not. But this isn’t a criticism, more of a warning. This book is chock full of exhilarating highs, bone crushing lows, and sizzling emotion from deeply developed characters. The underpinning of the entire tale hinges on the personalities and evolution of characters Mel and Sharon, and Whitaker's masterful use of dialogue in such a unique style throughout the book aids in its character development. Sharon is the hero on the journey here, and she’s forced to learn much about herself, her relationship with Mel, and how to be her own person. This book dives into friendships as life changing relationships. Ones that can be as significant, if not more, than spousal or familial ties and how they can be just as impactful and destructive if left unchecked. Whitaker writes in great detail about the art and business of animation, a topic about which I previously knew nothing. 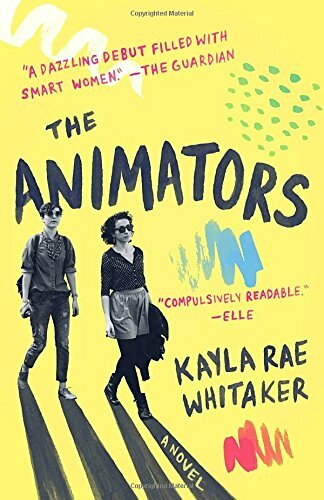 If Whitaker isn’t professionally trained as an animator, she’s certainly done her research. The book is an interesting and insightful look into a very nuanced world and, for me, a true education into new material. In the first few pages of the book, I was hooked. On Mel and Sharon as people, on their travails together and apart, on their work life, on their stories, real and imagined. Gripping and vivid, The Animators struck major chords.